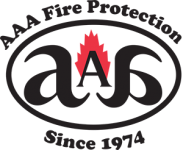 AAA Fire Protection Services has been serving Vacaville, CA commercial customers for more than 40 years – and we’re still going strong. We sell the best fire suppression products and services for restaurants, commercial kitchens, caterers and industrial clients. Customers depend on us because they know we install the best using highly trained technicians who care. We specialize in sprinkler design and installation, portable fire extinguishers and cabinets, commercial kitchen and industrial fire protection, kitchen and industrial fire suppression equipment and much more! We proudly boast of the top-rated grease exhaust cleaning services in the region and a dependable grease filter exchange service that works around your busy schedule. Our highest priority as a fire protection company is always your safety. Vacaville, you will be happy to know that AAA Fire Protection Services is still a family run business. We are local, not part of a national conglomerate. Over the years, we have provided service for thousands of Vacaville commercial kitchen and industrial clients for their fire protection needs. We are here for you with reliable, dependable and professional service.